Pinal County Sheriff Paul Babeu joined over two dozen Republican lawmakers in calling on Attorney General Eric Holder’s to resign over Operation Fast and Furious, the gunrunning program that saw the ATF deliver some 2,000 guns directly into the hands of Mexican drug gangs, labeling the scandal worse than the Watergate cover-up that brought down the Nixon White House. Noting that two of the guns involved in the program were found at the scene where U.S. Border Patrol agent Brian Terry was shot to death, Babeu warned that if Holder attempted to stay in power, he could bring down the entire Obama administration. “I thought it was a telling sign when President Obama embraced him and gave him the Al Capone hug and the Scarface whisper in the ear that I support you. He did this publicly. I thought, `Wow, this is his last hours here, that he’s on his way out,” Babeu told KTAR News. 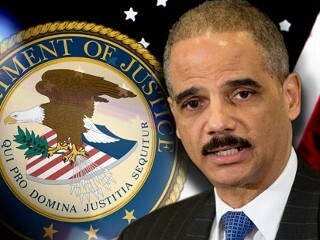 Holder is set to testify once more on the subject in front of a Democratic-led Senate committee on November 8. By no means for the first time, if Eric Holder repeats his dubious contention that Fast and Furious only came to his attention when it became public knowledge, he will be knowingly committing perjury. Holder also received the same briefing from the head of the National Drug Intelligence Center,internal DOJ documents obtained by CBS News show. “Internal Justice Department documents show that at least ten months before that hearing, Holder began receiving frequent memos discussing Fast and Furious,” states the report. The CBS News journalist behind the scoop, Sharyl Attkisson, was subjected to verbal abuse by the White House merely for asking questions about the controversy, and was warned not to pursue the story. In addition, Holder himself gave testimony to Congress in May 2009 in which he spoke of efforts on behalf of the DOJ and the DHS to track weapons going from the U.S. into Mexico under Project Gunrunner, which was the umbrella program for subsequent operations like Fast and Furious.Though heavily redacted, the documents directly discuss “Operation Fast and Furious” and how it involves “trafficking firearms to Mexico”. It now appears as though Breuer is attempting to throw himself under the bus in an attempt to take the heat off his boss and be the fall guy for Fast and Furious. Over two dozen Republican lawmakers have called for Holder to resign over his stonewalling on Fast and Furious, which is the subject of a congressional probe. As we highlighted last week, Holder is not alone in his willingness to risk charges of perjury by lying in front of elected representatives. Despite telling a House Judiciary Committee that she only learned of operation Fast and Furious in December last year when the controversy went public, Homeland Security chief Janet Napolitano actually helped launch the previous incarnation of the program, Project Gunrunner, at a White House press conference in March 2009. However, as the video below illustrates, not only was Napolitano aware of the ATF program to put guns into the hands of Mexican drug lords, she actually helped launch the previous incarnation of it, Project Gunrunner, at a White House press conference alongside Deputy Attorney General David Ogden in March 2009.